The 3D virtual world of Sony PlayStation's network which launched back in December 2008 has been one of Playstation's most underlooked but risky and innovational ventures of this generation. 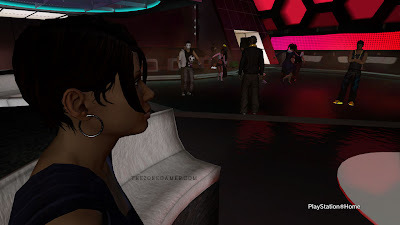 The social gaming platform of PS Home is quite a unique specimen and holds the achievement for being the closest gaming has come to a virtual shopping centre. Since August 2011, PS Home has obtained 76 million members which is a solid accomplishment in it's own right. PS Home gives you the chance to virtually create yourself and take your avatar around realistic social hangouts including beaches, malls and other themed environments while you're given the opportunity to interact with other fellow PS3 gamers around the world, which doesn't involve cameras or headsets. The word 'social' has popped up repeatedly within Sony PlayStation's recent marketing campaign but since PS4's announcement there's been no actual acknowledgment of PS home coming to the next gen system as fans are left in the dark. Despite this, Playstation home remains a solid support of the PS3, with active updates and high player activity. 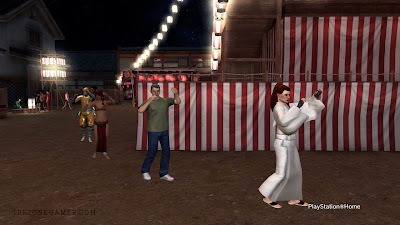 Players who abandoned and wrote Home off as nothing more than a bowling alley space and running man gimmick may be taken by surprise at the developmental advancement of the virtual universe in this day and age as it's becoming a haven for genuinely addictive free to play games like Home Tycoon and Uproar. Sony failed to mention the virtual world during it's Playstation meeting press conference, considering all the emphasis that the company placed on community during the reveal event which spoke of attractive features like video sharing, streaming and more, but PlayStation's continued contribution into PlayStation Home shows they still see potential in that market right? Despite being mocked and ridiculed by pessimists during it's early years, the virtual world has matured and attractively grown up. Sony listened to the issues that it's fanbase was having trouble with and the platform has improved dramatically as a result of that outcome. Avatars are now brought to life with a variety of charismatic personalities thanks to full body costumes which overhaul the original art style and there's also lovable companions to accompany you. Additionally, Spaces are no longer lifeless vessels and are brought to life with activities and stuff to interact with. This progress has resulted in an active player base and the platform is widely assumed to be one of the PS3's stable cash grabs and silent money makers. This was stated by director Peter Edward in an old interview disclosed by Develop back in early 2011. "From a business point of view, virtual items and microtransactions - it just works," he said. "We have tens of thousands of items, and they are making money." 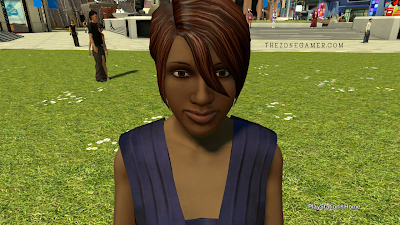 Some companies like Lockwood publishing, for example have built their entire business around PlayStation Home. And if you randomly log into PS Home on any given day, you'll bound to find hundreds of other weird looking avatars sporting fancy and stylish premium goods, that they've obtain through the PlayStation store. A mysterious patent filed by Sony Computer Entertainment Europe in february of 2012 for a service entitled 'BigFest' leads to clues that the company may be planning on developing a new version of Home for the next generation platform after all. While the details are certainly unclear, the registration describes a social platform intended to bring gamers together. For a console that's been designed around social gaming, no one could possibly imagine that the PS4 will neglect Sony's most community-driven goldmine in years. PlayStation Home will most definitely return even in a reincarnated form. It may be given a complete facelift next time. Fingers crossed that Home makes it's transition over to PlayStation 4 including the trophy cabinets that were promised, eh? It﻿ was home that enticed me to get a PS3. Chillin' out, meeting people and play some games. Hopefully ps4home will have bigger free roam environments. I am looking forward to﻿ a PS4 Playstation Home, It's good to meet new friends to add and chat. Hopefully it will have more music or we have the option of listen to music on our hard drive while playing, it's too quiet in most spaces. On the ps4 they should make a big map like for example; gta where you go into vehicles and pick up your mates. And take them shopping or maybe a date, Sony should make a couples area where you can just relax with no interruption. I believe home to be one of the features that keeps people like me on PSN. 90% of the time I find it difficult to enjoy most of the available games, so I go on home and socialize, talk about anything interesting. Without home, I'd already be strictly playing on PC due to the wide range of gaming choices, customization and tons of better features than any console will ever have. As a matter of fact, PS home is a deciding factor in whether I will support Sony next-gen or not. Hopefully SONY is wise enough. i don't see why ps4 wouldn't have home. to whoever thinks home is dying don't know what theyre talking about. everytime i play, every space is viste is packed with ppl. people are spending more and more money each week when home updates, and the prices seem to be going up and users keep buying. sony makes a lot of money from home users and with ps4 being social device i don't understand why home wouldn't be on it. I'm just glad you all haven't forgotten about Home :) Yea it's not perfect but now we have the PS4 which could be it really awesome and interesting with all sorts of new ideas they could implement. PS Home will probably evolve in some form for PS4 though I doubt it'll be a series of hubs like it was on PS3 that required downloading, installing and loading to enter. I feel PS Home on PS4 will use GaiKai to stream a lot of things and it'll just be one large area you can walk around and see different things. You should also be able to put your own pictures and videos on in your personal space so you could virtually watch your videos with friends. With the amount of RAM the ps4 has, there's no reason these features shouldn't be implemented. With that logic its hard to see them getting rid of Home. Its not as bad as some would make it out to be. And its free. And considering how much people seem to love the miiverse i don't see why Home should go away. I just started to really notice PS home but it could be significantly improved and hopefully have more capabilities on PS4 as well. I haven't been on Home for a while but decided to revisit for the traditional E3 outing and it's a great little world that must be bought over to PS4 but integrated into the whole system better. People really don't understand how much money it must generate. Plus most of the work is no longer done by SCEE now as the system has been turned over to many of Home's 3rd party devs. Sony make a crap load of money off of it compared to the low dev cost so they're definitely bringing it over. I think they should learn lessons from Miiverse. It did a number of things right that Home would work great with. As long as there's PlayStation Home to relax like now I'll be happy. 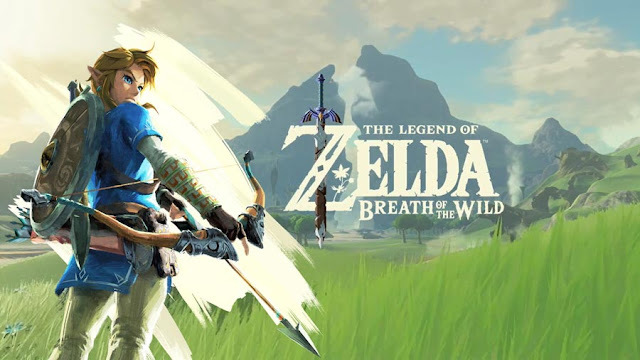 It probably is not going to be on the ps4 but if it was i want the style of it changed and better movement and less stuff that cost way more then it should and also funnier games that don't cost money. 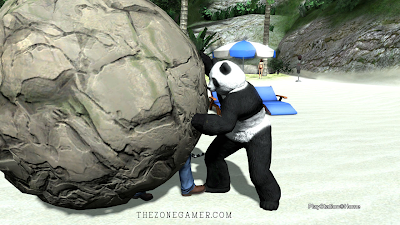 I could see ps home returning. Had some issues on the PS3 though. If they do it half-arsed then it'll be through Gaikai, probably. If they go whole-hog (unlikely from no mentions) then super! Or the "social functions" of the PS4 UI will make it pointless to some. Home must generate a load of cash for not only Sony but the devs involved as well, they sell bumper packs of furniture for up to £24 or $35 (in the SALES) - nearly the price of a game. I can tell you already that core Home users will jump on those kinda prices. It'd be sad (as a 4 year user) to see it end, but as they say; all good things must. But from a business perspective (and I'm just going on guesswork here since there's never any fiscal data to go on published, ever) I can't see a good reason to can Home. In the last few years Home has transformed into something much more versatile; personal music players, video, TV and movie devices to watch with friends, avatar dance moves, gestures and emotes, arcade cabinets with full retro games, events like Hed Kandi, Groove Armada or E3 to attend, an explosion of built in games like No Man's Land, Home Tycoon, Mercia, Xi2, Sodium Racer and grinders like the GZ games that can take an age to "complete". They call it a money pit for a reason, and Sony would be nuts to let this die on its feet. Great article. It's nice to see so many positive comments embracing Home here as well. Sony would be a fool not to continue the service into next gen. I think we just might hear something in regards to Home at Gamescom but if not than, most likely when Gaikai is ready to launch. If nothings announced at either, than it will definitely be a sad time for Home and they will lose one of those most passionate communities they've ever had. I don't think home will come to ps4 for a while because by keeping home exclusive to ps3 it keeps people using ps3 and buying for ps3 as when people see how much better ps4 version would be then they would get rid of there ps3. its all to do with making money that's my thoughts on this subject..
Come and see how 1,000's of people like YOU are working for a LIVING from home and are living their dreams TODAY.